Join friends Billy and Bee in the second instalment of a brand-new “First Experiences” series set in the urban city centre. Today let’s go to … the farm! Billy and Bee are so excited to meet the animals. It’s boots on quick, as there are lambs to be fed, piglets to be played with and hen’s eggs to be hatched! An introduction to first animals and a lively celebration of a toddler’s first farmyard experience, this delightfully rhythmical read-aloud text for the very youngest of readers is paired with gorgeously fresh artwork from Anna Hibiscus illustrator, Lauren Tobia. In this second book the two friends are visiting the city farm. They get to interact with the animals and feed them and learn about how the farm works. Through the rhyming narration and the bold, colourful illustrations young children will enjoy learning about the animals and all about farm life. 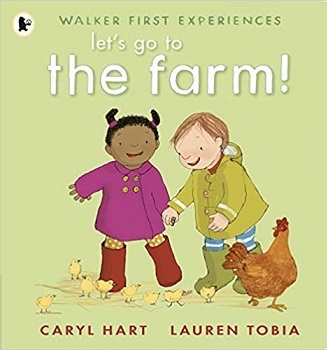 The book follows the children as they have their little adventure on the farm and shows how much fun they are having as well as how much they are learning too. I adore Bee and Billy, they are two very cute characters. Watching them play and having the time of their lives goes to show just how much fun children can have to be around animals. I know my children when they were younger loved visiting the farm. The book is just a pleasure to read and would work well for a new reader, a bedtime story or even a class read too, maybe just before a class visit to a farm would be an ideal time. The book is made from thick paper so it will be hard for a young child to rip it. You can feel confident enough to leave a child who can’t read yet alone with it for them to look at the amazing full-page illustrations and make their own stories up to go with the images. Caryl Hart is a full-time children’s writer who also runs creative workshops with local schools. Her first picture book, Don’t Dip Your Chips in Your Drink, Kate!, won two regional awards in England, and is short-listed for a third. She lives in England with her guitar-playing husband, two cheeky daughters, one extremely fluffy black cat, a goldfish, four hens, and a dog named Roo. 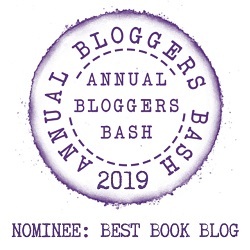 As well as writing, Caryl Hart loves walking in the hills, swimming, snuggling, baking, weeding, running, sleeping, chatting, and sitting in cafés.